The European FT8 Club is sponsoring an FT8 DX Contest on April 13, 2019 1200z through April 14, 2019 1200z. 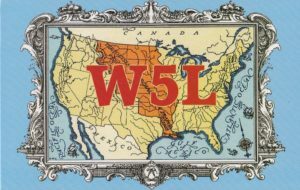 Everyone works everyone in this contest, and the maximum power category for the contest is 100 W. The exchange format is the same as the ARRL RTTY Roundup, with state/province for US/Canada stations, and serial number for DX. For more information go to europeanft8club.wordpress.com/.